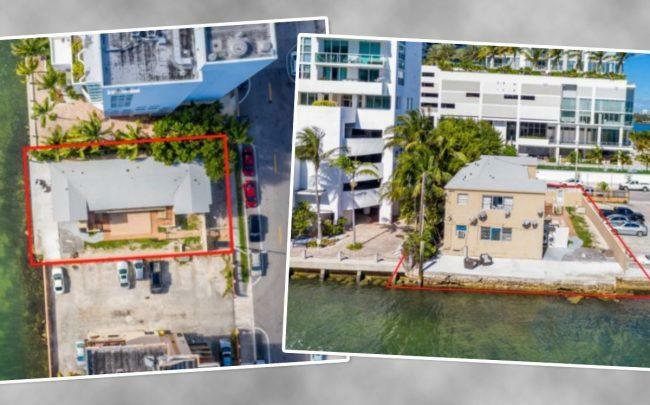 UPDATED, March 20, 11:15 a.m.: A 10-unit waterfront apartment building in Miami’s Edgewater neighborhood is listed for sale for $4.9 million, marketed as a development site for a condo tower. Miami-based Sky Beach Realty is listing the apartments at 530 Northeast 29th Street. The seller, King Me 29 Street LLC, is led by Rommey Bahhur. Bahhur bought the small apartment complex on the 6,300-square-foot lot in 2016 for $2.7 million, records show. Zoning allows for a developer to build an eight-story building at the site. Sky Beach Realty’s Howard Berkowitz said the brokerage is also in preliminary discussions with the owners at an adjacent waterfront 15-unit condo building at 710 Northeast 29th Street for a potentially much larger project. The idea is that if they would sell their units, a developer could make a bulk condo offer. The developer would need to buy out 75 percent of the condo owners in order to acquire the property. If a developer were to purchase both the apartments and condo building, it could build a 45-story waterfront condo tower at the site under current zoning. Berkowitz and Sky Beach Realty’s Lisbeth Arellano said they have received interest in the apartments from national developers from Chicago and New York City as well as local developers in South Florida. Edgewater is one of Miami’s hottest areas for new condo development. Two Roads Development is currently constructing its 57-story, 100-unit Elysee condo project at 788 Northeast 23rd Street. Nearby, Russian billionaire Vladimir Doronin’s OKO Group is building the 57-story Missoni Baia condos at 777 Northeast 26th Terrace. Last year, Related Group topped off its fourth condo building at its Paraiso project, Gran Paraiso Residences, a 317-unit tower at 480 Northeast 31st. Many of the new luxury condo developments are hoping to be the first to open when the next real estate cycle starts and sales pick up again. The condo market in downtown Miami has slowed down precipitously since its high in 2016 and resale prices are dropping in many newly constructed condo buildings. A report by the real estate consultancy firm Condo Vultures Realty showed a six-year oversupply of luxury condos in the Greater Downtown Miami area. Condo developers have also been hurt by declining currency valuations in South America, which has led to fewer buyers from the continent. Developers and brokers are increasingly trying to attract buyers from the Northeast states such as New York and Connecticut.